There are a number of statutes in Florida that prohibit disobedience of or resistance to a law enforcement officer. Disobeying a lawful order of a police officer carries higher penalties to those who refuse to follow orders lawfully issued by an officer of the law. It’s a second-degree misdemeanor, meaning its punishable by up to 60 days in jail, six months of probation and/ or a $500 fine. 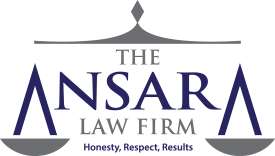 At The Ansara Law Firm, our Fort Lauderdale criminal defense attorneys know there are a number of ways we may be able to defend these charges. It’s important to do so because even beyond the threat of a jail sentence or a hefty fine, this a crime that will remain on your permanent criminal record. That means it’s visible to future schools, potential employers and landlords. It could also potentially be wielded against you in family court, particularly if you are battling for custody of your children. If you ever wanted to at any point hold a public office, this would be a charge for which you would undoubtedly need to answer. The best solution is to work to avoid a conviction in the first place. To understand ways in which we might defend your case, we must first ensure you understand what exactly the crime entails. Intentionally refuses or fails to comply with that lawful order or direction. It’s important to stipulate that the term “police officer” as used in the statute can mean a number of different things. It applies not just to actual municipal police officers, but also to deputy sheriffs or state troopers or traffic crash investigators or traffic enforcement officers. It could also mean any member of the fire department who is on the scene of a rescue operation, fire or some other immediate emergency. Refusing to sign your name to a citation in the presence of the officer (which is not an admission of guilt, but rather an acceptance of the summons). In order to prevail on this charge, a prosecutor would need to show the officer made such a command and that you willfully and intentionally disobeyed that order. If you refuse to obey a lawful command from an officer in accordance with this statute, you will be charged with a second-degree misdemeanor. Up to six months of probation. Again, bear in mind that while this is among the least serious criminal charges one can face, it is nonetheless a criminal charge that is going to appear on your permanent criminal record if you’re convicted. Further, while it is true that a first-time offender will face the maximum two-month jail penalty, it is not outside the realm of possibility, particularly if you do not have an experienced criminal defense lawyer fighting on your behalf. This is especially necessary if you do have any prior criminal record, which can be used against you in sentencing if you are convicted. Understand too that unlike with felony charges, the state may not provide you with a public defender. Very often, public offenders are not appointed to assist individuals who aren’t facing any jail time. You can ask the judge to reconsider, but there is no guarantee he or she will acquiesce. In the end, it’s often better to invest the money in a good defense now to avoid serious problems later. Whether the officer’s status was unknown. In order for a conviction on this charge to stand, prosecutors have to prove defendant had reason to know the officer was legitimately a law enforcement officer, and not someone merely impersonating one. Whether defendant was engaged in protected speech. Usually, words alone – even if rude or disrespectful – aren’t going to be sufficient to rise to the level of disobeying an officer. Those words usually have to also involve some level of physical conduct to support a conviction on this charge. Whether the order was unlawful. If an order was unlawful, it is legal to disobey it. In the event you are arrested or charged with disobeying the lawful order of an officer in South Florida, contact our offices to learn more about how we can help.